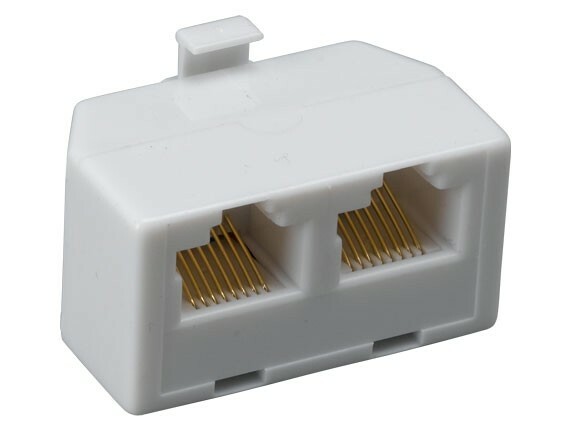 If you need to connect two RJ45 devices to one outlet, this modular T-adapter can help you make the right connection. 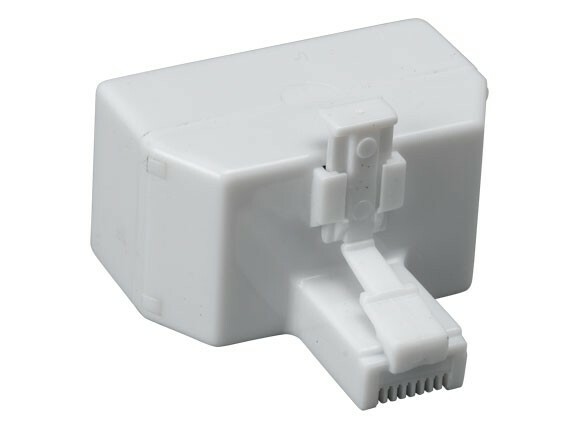 The T-adapter provides a female to two females for multiple device hook-up. 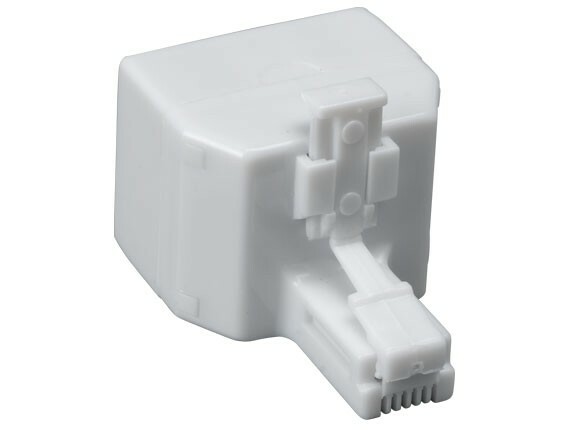 Perfect solution for connects a phone and fax machine to the same plug. 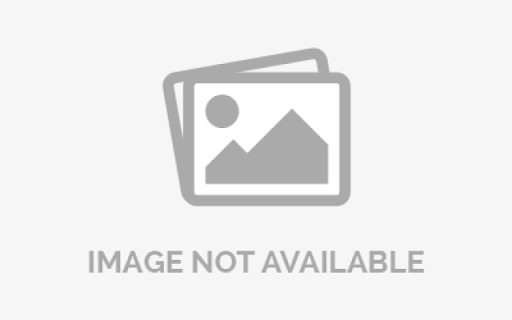 Note: This product is ONLY intended to support 1 device at a time. 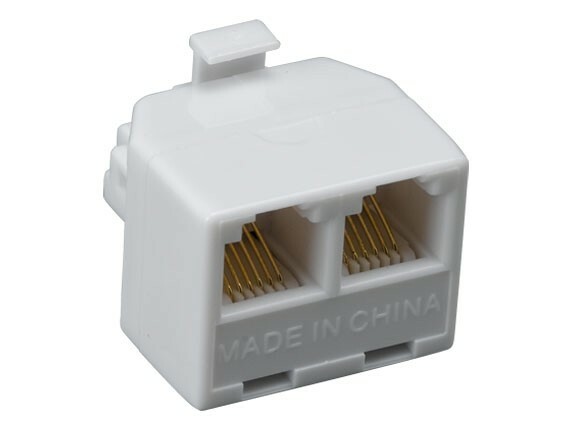 It will not allow 1 RJ45 port on your source device to be "shared" or split into 2 RJ45 ports simultaneously.